Acne - What You Need To Know - BrightNewMe is a clinic based in Altrincham offering non-surgical cosmetic procedures and anti-wrinkle treatment for both men and women. Do you have pores? Pores are mild blackheads, and so, technically, you have a mild form of one type of acne. Acne is a cause of angst for many a teenager, and adults too. I have a number of patients who have battled acne for years, and tried numerous different products, all to little or no avail. But what exactly is acne, what causes it, how common is it and what can be done to prevent and treat it? Contrary to urban myth, acne is not caused by dirty skin and poor hygiene. It arises when the tiny holes in the skin which contain hair follicles become blocked. 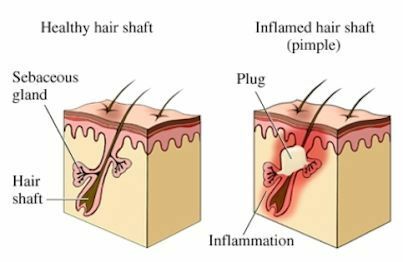 There are glands attached to the hair follicles, known as sebaceous glands, which produce an oily substance called sebum to lubricate the hair and the skin to stop it drying out. But sometimes the glands can produce too much oil, and this can mix with dead skin cells to ‘plug’ the follicle. If the plugged follicle is closed to the air it will appear as a whitehead. Alternatively, the plugged follicle can be open to the skin, and the contents darken as they oxidise, creating a blackhead. Bacteria that normally live on the skin can then proliferate and infect the plugged follicles, causing papules, pustules, nodules or cysts. The sebaceous glands are particularly sensitive to hormones, which is why acne is common in teenage years, with nearly 90% of teenagers thought to experience acne to some extent. However symptoms do not necessarily stop after adolescence, with 50% of sufferers continuing to experience symptoms well into adulthood. It is a condition that can have an extremely detrimental effect on psychological well-being. Recent research by the British Skin Foundation found that 63% of acne sufferers had lowered self confidence due to their condition. And this impact can linger long after the acne itself has cleared, as scarring is often associated with more severe cases. Acne occurs earlier and is more severe in those who have a family history of this condition. It is not known whether certain races are prone to acne, but black individuals are certianly more likely to get postinflammatory hyperpigmentation. Sadly, there is no sure way of preventing the onset of acne – most of the biological reactions that trigger acne actually occur beneath the skin, rather than on the surface of the skin, and therefore how clean your skin is will have little to no effect on your acne. Succumbing to the temptation to over-wash can actually be counter-productive, as doing so risks aggravating the skin and causing inflammation. However, general tips for healthy skin should be followed, addressing the four elements responsible for acne (excess oil, plugging of hair follicles with dead skin cells, bacteria and inflammation). Washing, with a liquid cleanser for oily skins, using warm (not hot) water. Using an astringent toner for oil control. Avoiding moisturisers, which can block the pores, and exacerbate oiliness. Using only non-comedogenic (not pore blocking) products on the skin, be it make-up, suncream or other products. Further tips include tying long hair back at night, keeping hands away from the face, and avoiding squeezing/ picking spots. If symptoms persist, formal medical assessment will allow the severity and type of acne to be determined, leading to the correct choice of product or products. In the past antibiotics were the mainstay of treatment, but topical treatments are now known to be much more effective (and of course the over-prescribing of antibiotics is thought to be causing the development of bacterial resistance). In my clinic I recommend, as a baseline, medical grade products for an effective regime of cleansing, exfoliating and oil control. 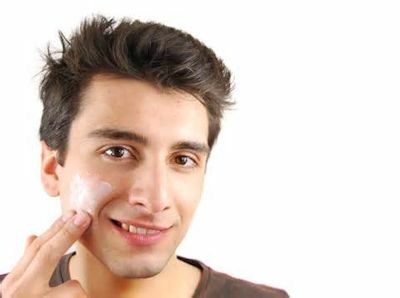 A chemical exfoliator, which is a cream which helps the outer layer to slough off, is also beneficial. Many of my patients like to use an at-home chemical peel or a masque. Therapeutic agents may include retinoid creams and gels, of which there are several, including tretinoin. Other agents, such as benzoyl peroxide and azelaic acid may also be prescribed. Individual pustules can be treated with a product containing salicylic acid of which some also contain a concealor. I recommend sun protection to all my patients. For acne patients this is especially relevant as some treatments make the skin more sensitive to the sun. Choosing an, effective, non-comedogenic sun cream is important. Hydrafacial is a medical grade facial available at our clinic which has been proven in clinical trials to improve acne. This would significantly accelerate treatment of active acne, congested skin and scarring. Microneedling is also highly effective for acne scarring and the pigmentation which can occur from acne, and can be undertaken once the pustular lesions have subsided. Only in more severe cases would oral therapy be indicated, such as antibiotics, the contraceptive pill for female patients or, ultimately, isotretinoin in severe cases.